8 Easy Ways to Start Your Spring Cleaning Now! 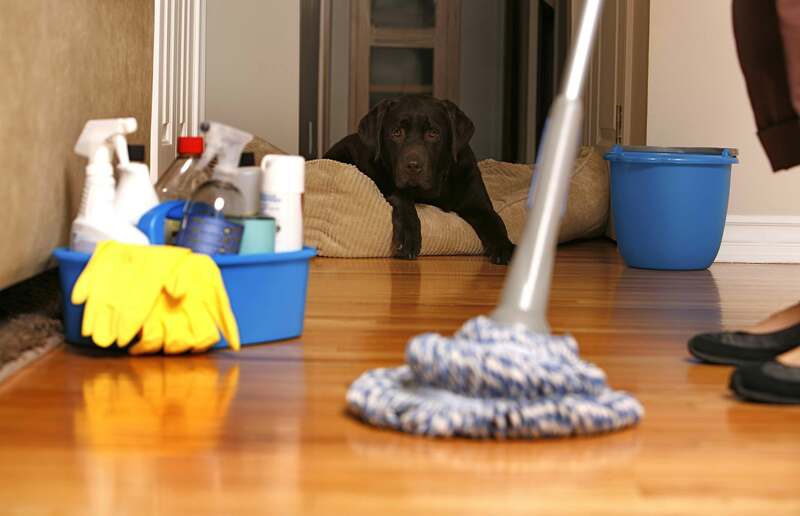 Are you behind on your spring cleaning? 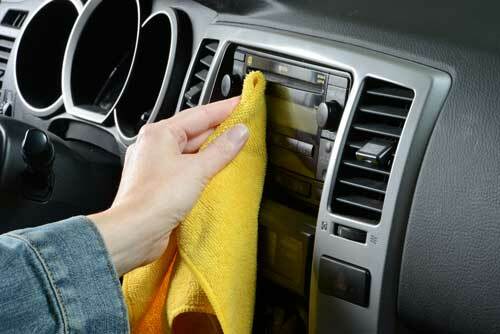 Are you dreading all the hard labor that comes with ridding all the winter dirt, dust, and grime from your home? Spring cleaning doesn’t have to be a laborious hassle! Check out our 8 cleaning tips to help you through spring cleaning a little more easily. Take the Dust Off Your Lampshades – Tired of pushing all the dust around on your lampshades instead of just getting rid of the dust? Use a lint roller to clean the dust off easily! Scrub Away Stains in Your Couch Easily – If your microfiber couch has seen better days, grab some rubbing alcohol and scrub away the stains with a sponge and brush. The alcohol will draw out the stain and will leave the couch looking like new! Make Your Blinds Look Brand New – Everyone dreads dusting every little part of the plastic blinds that hang in the windows. Now there’s an easier way to clean them! Simply soak your blinds in a bathtub with a combination of water and bleach or water and vinegar. They’ll come out looking brand-new! Freeze Out Your Votives – Do you have old candles stuck in your small votive holders? Remove them the easy way by freezing them! The wax will shrink and fall right out, leaving you with a space to put a new votive! Nuke the Germs on Your Sponges – The next time you’re washing your dishes, take your damp sponge and stick it in the microwave for about 2 minutes. This will kill all the germs on your sponge! Make Cleaning the Microwave Easy – You don’t have to scrub your microwave endlessly anymore. Just mix vinegar and water together in a bowl and set the microwave for about 10 minutes. Remove the bowl and wipe the microwave down – the gunk will come off easily! Move Furniture Smarter – The old rules of spring cleaning dictated that you need to take all of your furniture out of the room to get everything cleaned well. Save time and effort by moving your furniture slightly left or right to where they were, clean there, and move them back into position! Save Time Cleaning the Floors – Use a combination wash-and-wax floor cleaner to make your floors sparkle. Don’t feel guilty about saving time! We’ve all heard that the microfiber cloth is the latest and greatest in cleaning technology. It’s been promoted as being a champion of everyday cleaning, light and efficient to tackle just about any mess in the house or office. But is that all that the microfiber towel can really do? We beg to differ! Not sure what to do with microfiber cloths and towels other than drying stuff? Check out these 12 other things you can use these cloths for below! Make Things Shine – Need a good polish on your jewelry, stainless steel appliances, granite countertops, or glass? A microfiber cloth works wonders on bringing out that shine! Just apply a little bit of Windex or water and your items will look as if you just bought them. Clean the Floors – Step aside, Swiffer. The microfiber does just as a good as job, if not better, than you do! Simply attach the microfiber where you would normal put a Swiffer pad and clean the floors as you would normally. Throw your used microfiber towels in the washer for next time’s use! Wash the Car – After you wash your car from the winter grime, you need to dry the excess water droplets off so you won’t have those dreaded water spots left on your exterior. Regular towels only get so much off while depositing tons of those annoying little fuzzies all over your beautiful car. Try a microfiber towel instead! It will pick up all the extra droplets and won’t leave any residue on your car. Prep Some Old Tunes – Love vinyl but haven’t had played them in ages? Don’t put a dusty record on; clean it with a microfiber wipe first and enjoy the music without damaging your record. Get Some General Cleaning Done – Who says you need paper towels to clean? Microfiber towels work just as well! These cloths are so multi-functional that you can use them for just about every spill or mess you could encounter. Clean Your Handheld Systems – Do you own an iPad, tablet, Nook, or even a Nintendo DS? Sometimes these items can get really grimy and gross with fingerprints and smudges. A small microfiber cloth can do a really great job in eliminating these smudges and making your devices look sleek and clean once more! Dry Yourself Off – Whether you just stepped out of the shower or you just finished your daily swim, a microfiber towel will be your best friend when it comes to getting totally dry. Our plush and super-absorbent 20×40 microfiber terry towels work especially well in drying you off both at home and at the gym. Make the Windows Shine – Are your windows looking drab and dirty? Does your dog still have his “nose art” proudly displayed on your windows? Tackle them with a microfiber cloth and a little bit of Windex to make them shine like new! No need to worry about streaks – your windows will come away looking clear and streak-free! Don’t forget to tackle the mirrors in your home as well. See the World Differently – Do you wear glasses or sunglasses and always seem to have smudges and dirt on the lenses? No, don’t reach for your shirt to clean it off – you’ll only wind up hurting your lenses. Clean your glasses the safe way with a microfiber cloth. You’ll see better and protect your lenses at the same time. Dust Like a Pro – Tired of leaving dust specs after you just finished dusting a piece of furniture? You no longer have to worry about buying any special dusting products or a feather duster – these cloths are perfect for dusting! Just take a barely damp cloth and wipe off all the dust, fingerprints, and marks. Use It at the Salon – Did you know that microfiber towels are the safest to use with bleach? They won’t be affected by peroxide-based hair products and can be safely washed with hot water and chlorine bleach without fading or damaging the towel. Be sure to nab the best microfiber towels around here at U.S. Wiping! We’ve been serving North America for over 100 years and have several different selections that you can choose from. Don’t forget to find us on Facebook and follow us on Twitter to keep up with the latest news and products!